Interventional Radiology refers to a range of techniques that rely on the use of radiological image guidance to precisely target therapy. These include X-ray fluoroscopy, ultrasound, computed tomography and magnetic resonance imaging. They are minimally invasive and in demand. Interventional radiologists manipulate needles and use fine catheter tubes and wires to navigate around the body under imaging control. In recent years, there have been vast technological advances in Interventional Radiology, which has impacted the world of cardiology and surgery as a whole. Major manufacturers like Siemens, Toshiba, GE and Philips have made major investments in developing flat panel, digital solutions. 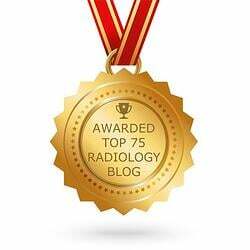 So which is the best Interventional Radiology Equipment? Let’s take a look at what GE has to offer, specifically the GE Innova 2100, 3100 and 4100. This has the smallest detector in the GE Innova family, measuring just 20 cm square. It’s designed specifically for carotid and cardiac procedures and is perfectly suited for diagnostic angiograms, angioplasties, carotid stenting and cardiac catheterization. The entire coronary anatomy can be seen in just one view. In addition, the reconstruction of 3D cardiac images is easy with the tableside controls. 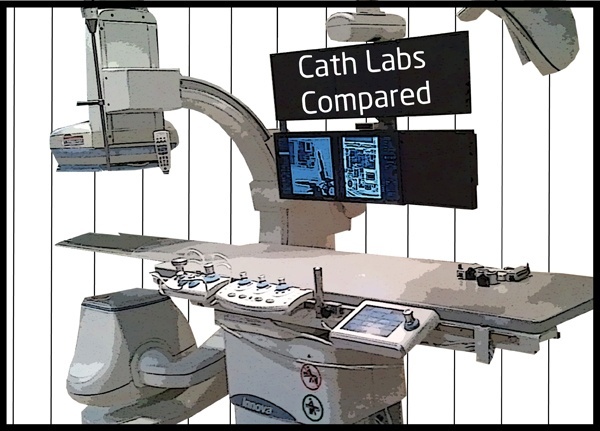 It also has an exclusive revolution flat panel detector that delivers a 15% increase in image quality over GE’s analog models, which allows for more accurate stent placement. The GE Innova 3100 has a 30 cm detector that provides excellent cardiac, vascular and neurological imaging all in one. It is the halfway mark between the GE Innova 2100 and 4100. It, too, has the exclusive revolution flat panel detector that delivers better image quality for coronary, peripheral and neurological procedures. The GE Innova 4100 delivers the largest field of view in the GE line, as well as in the entire marketplace. The 40 cm square digital detector has high quality images with lower doses, fewer runs and quicker exam times. 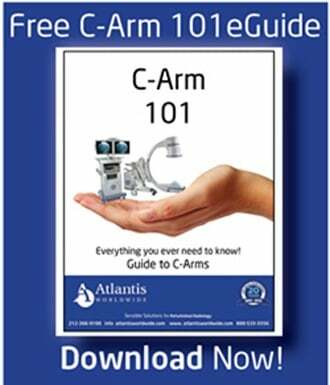 It’s the ideal tool for ablation techniques, run-offs, vein embolization and oncology/tumor embolization. Like the 2100 and 3100, it has the exclusive revolution flat panel detector. 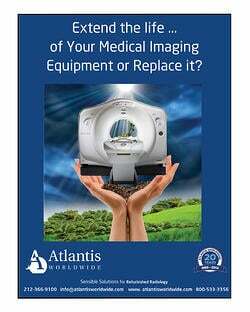 If you’re looking for the right Interventional Radiology equipment, it’s wise to talk to an expert like Atlantis Worldwide. While you might think brand new equipment is the best choice, with some market analysis and evaluation, you might find that buying refurbished or used radiology equipment is a better choice. You can get more for your money, still get a great warranty, and save money as well. Contact Us Today!